CAD Designs With Bottom Line Impact! One thing we’ve learned through the years is that ANYONE can say they design a commercial kitchen. Far fewer can design it with impact to your bottom line. KEC can. 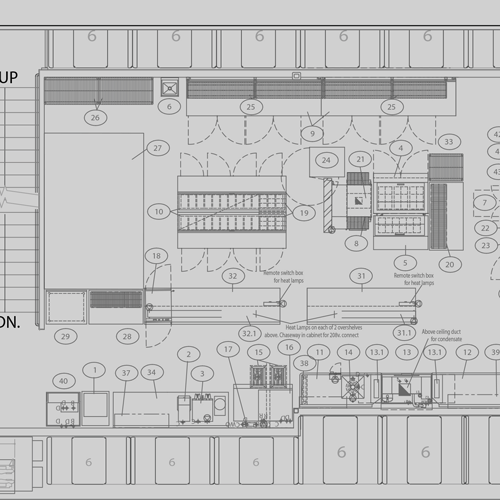 Our Contract & Design team has designed all types of foodservice operations, worked with engineers, architects, general contractors, owners, operators, bar managers and chefs to bring our customer’s ideas to life. We are passionate about creating an efficient design with the right equipment for your operation that improves your customers’ experience. We're so confident in our work, we’ll even offer you Reimburseable Design Agreements to recoup your design fee if you also buy equipment from us. Equip is the entire scope of a project, and represents bulk of the work we do. KEC’s team typically finds that equipment schedules are sourced to many unrelated vendors. The KEC system can pare your vendors down to improve your time management and costs. We are more than an equipment dealer-we are project managers who are a bit maniacal about PROCESS IMPROVEMENT, LOGISTICAL EFFICIENCIES and MATERIAL FLOW to your job site. This involves a better partnership between the GC and the KEC and “commandeering” the little stuff to make this process easier for the customer. It requires being organized, getting coordinated and purchasing consolidation. All quotes are prepared using a web-based quotation and database system to produce fast, accurate quotes with photos, precise measurements and factory descriptions with pictures for clarity in review and purchasing. We operate on a FIFO system – first equipment needed in your operation, first packages out of our warehouse. This reduces the hassle of lost or damaged items moved around the jobsite and reduces the number of changes orders processed because your materials arrive when you need it. We provide installation services, so you can focus on other aspects of your operation. If you’re not sure how to install your new equipment you might want our install supervisors to handle it for you. We provide installation services to unload, uncrate, assemble, and set in place your equipment so you can focus on other aspects of your operation. We also offer a variety of options for installation and consolidation that you pick based upon your needs, from owner installs, supervised installs and full KEC installs. For local or regional projects, KEC’s 50,000 square foot warehouse is used as the consolidator, for national projects, we work with a network of consolidators to store your equipment until you’re ready for it to be delivered. 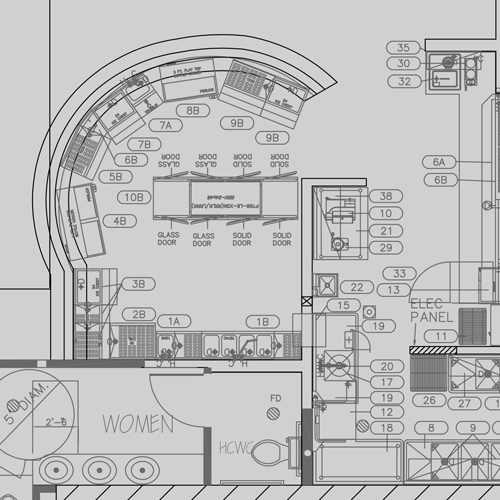 Need a commercial kitchen design? Request help now!